As a technology integration coach and “intrapreneur” (1) it has been my job to support education for my colleagues and students. While it is important that I am at the cusp of knowledge about computer tools and social networks, it is more significant that I focus on the psychology of learning. Through this lens, I try to develop an empathetic understanding for teacher and student learning, and I apply this to my everyday practice. Although I am a tech coach, I do not rush to employ technology. I examine that tech is being implemented to meet student’s needs. This may be with the help of the TPACK model, along with using the higher ends of the SAMR model. For example, devices should not be used for novelty alone. Using this schema, I look at how computers, tablets, Apple TV, social networks, cameras, audio, video, and other devices and software can be implemented by my colleagues and me. In searching for new pedagogical approaches, I delve into a myriad of learning environments. However, upon arrival at IICS, I realized there was no immediate learning network in Istanbul for teachers concerning technology, which I thought was very important to have. Therefore, I developed the LTEN (Learning and Technology Exchange Network), which has grown over two years to over 40 schools in Eastern Europe, Asia, and the USA. It consists of more than 160 people who connect online and meet three times a year at host schools. The network continues to grow and is developing into an entity that I hope will endure without me. Aside from the LTEN, my continuing studies in the doctoral field of instructional design for online learning keep me abreast of educational ethics and values, methodologies, and the latest about learning and cognition through research in current peer-reviewed journal articles, books, websites, and of course, through my personal learning network. I am nearly done my coursework, and I am planning to start my comprehensive exams and dissertation in summer, 2014. 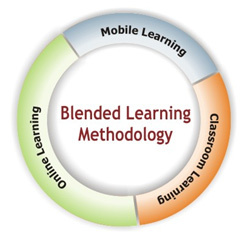 Blended learning is more effective than face-to-face or online methods alone. Along with blended learning, I am keen to promote learning strategies based on studies in Behaviorism, cognition, motivation, emotion, cognitive development, and neuroscience. 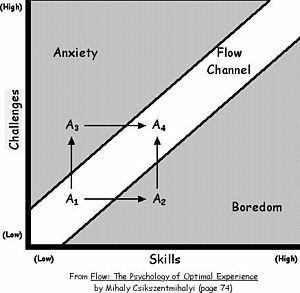 I strain to pass on specific knowledge, like Martinez’s (2010) ideas to: chunk information, encode in multiple modes, associate learning with positive emotions, encourage semiosis and schema building, make higher order thinking explicit goals, present the right condition for Csikszentmihalyi’s flow, and appreciate the importance of freedom and exploration in education. I am persistently striving to be at the cusp of new technological information and consider myself an early adopter. My motto is: I may not know how to work it yet, but I will definitely find out how. Because of this philosophy, I often find myself in the company of colleagues who have questions for which I am helping them find answers. I am happy to do so and create professional development for my staff in many informal and formal settings. I am proud of myself and my accomplishments as a teacher, professional, colleague, student, friend, and father. I know I will be an asset to whatever school I work with.